Home MMA News Floyd Mayweather Jr Replied To Khabib’s Callout! Floyd Mayweather Jr is not the guy who stays away from challenges. But this time, he got an offer to cross his gloves with an undefeated Dagestani Khabib Nurmagomedov. Of course, Floyd Mayweather Jr is interested, if the price is right. For Money, money comes first! Take a look at his Twitter response below. Go to @leonardellerbe ‘s page to view Khabib Nurmagomedov challenging me. Let’s remember the callout. Khabib was seen at the boxing match with Mayweather promotion CEO Leonard Ellerbe. A video clip about “two guys who have never lost the match” was released. Khabib told him that there can only be one king in the jungle. Both fighters have never faced the defeat. Floyd Mayweather Jr has the boxing score of 50-0. Khabib’s is the owner of an impressive 27-0 MMA score. Floyd Mayweather Jr has already fought a UFC fighter, Conor McGregor. One of the biggest spectacles and the highest paid matches ever was held on August 26, 2017. Money easily dominated Conor McGregor and defeated him via tenth-round TKO. But don’t forget that Conor’s right knee had the contact with the ground after Khabib’s overhand right. On the other side, Money’s punches didn’t force Conor’s knee to touch the ground. So Khabib can brag he has better punch power with a good reason! The possible details of Khabib Vs Mayweather fight are unknown yet. Also, Khabib currently has big problems with the UFC. He wants to protect his comrade, Zubaira Tukhugov, at all costs. Maybe he is using these tricks to make Dana White change his decision. This could also be a kind of indirect pressure on NSAC (Nevada State Athletic Commission) to show some mercy. What are your thoughts on this? 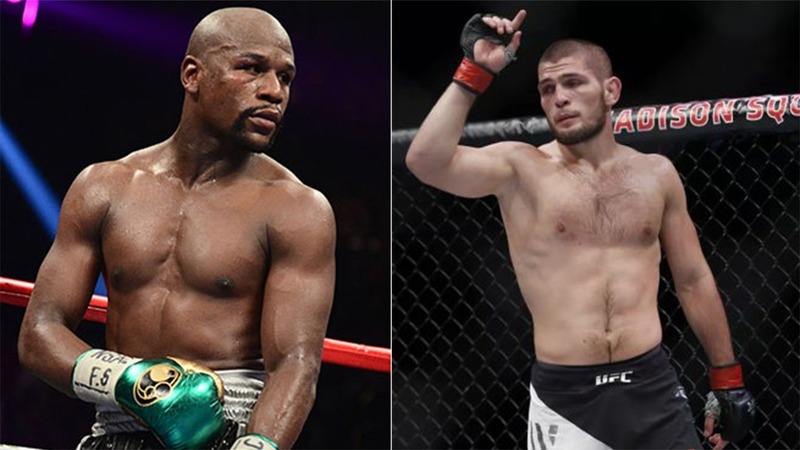 Is Khabib using 50 Cent and Floyd Mayweather Jr to improve his current situation?